Join the Greater Frogtown Neighbors Forum – Spread the Word was written on August 18, 2009 and filed in All, Issues Forums, Local, Neighbor Neighbourhoods, New Efforts, St. Paul - US, US. There are 6 comments so far, feel free to post a comment of your own. As our in-person outreach hums along (our first blog update with videos), now is the time to help spread the word online far and wide as we work toward our big opening in the coming weeks. With two-thirds of members signed up on paper around the community, we will have at least 200 members when we open for neighborly introductions. Frogtown efforts have inspired volunteer interest in St. Paul’s East Side and Summit-U areas for Issues Forums of their own. Please copy and e-mail the text below the picture of the “door prize” and e-mail/blog/tweet it to others. We want you to join us* today and to help spread the word. All are welcome. The forum is easy to use and a convenient way to discover what is happening across our diverse communities. This is an independent forum where we can have a voice by simply listening to each other and sharing neighborhood news and information. This will be a dynamic place for civil exchange reflective our great diversity. 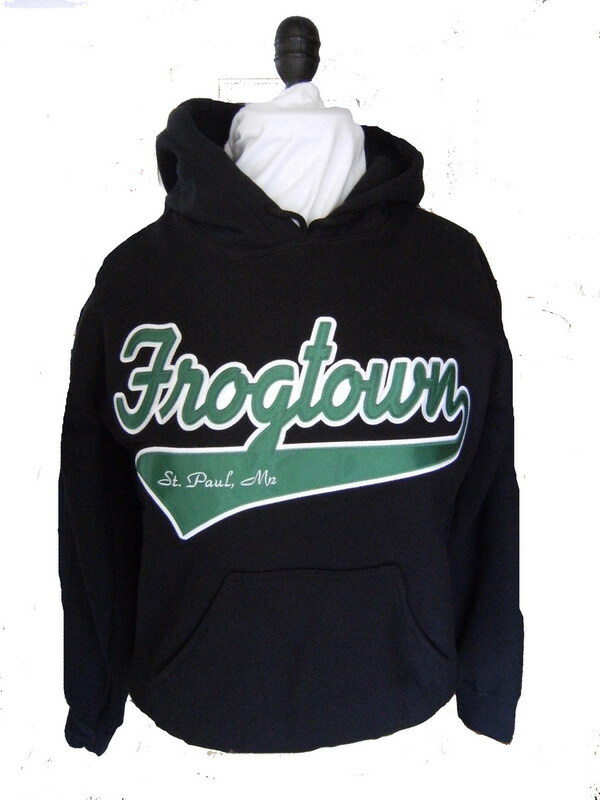 – We are drawing for Frogtown sweatshirts ($50 value) and baseball caps at 100, 200, and 300 members. You may participate via e-mail or the web, your choice. We look forward to “meeting” you online. **Affiliations for informational purposes only. Nice blog, nice link and video. All of the article untitled “Join the Greater Frogtown Neighbors Forum – Spread the Word” is good. Thank you for these information. It’s time we stopped being selfish and helped one another. The community spirit is the only way forward for the sake of all. If all communities did this, it would be a better, happier world.